Guide du Vietnam is a local travel agent in Vietnam registered in the Ministry of Culture, Sports and Tourism of the Vietnamese government as the Indochina Charm Travel (deposit € 10,000 or 12 000 USD with the License For Organization of International Travel having number: GP 0915/2008/TCDL-GPLHQT – Legal side of a travel agent in Vietnam). Managed by a group of local tour guides with more than ten years of experience and out of the big tour operators, we are here to offer you original services, close to the local population…during your travel in Vietnam. 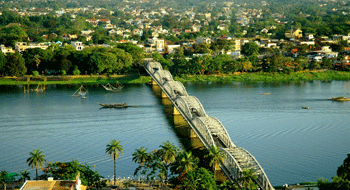 Why travel in Vietnam? 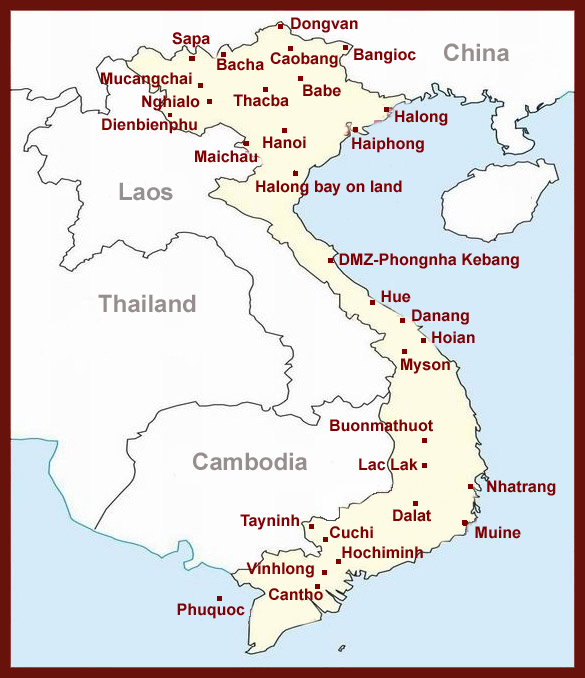 Vietnam or Việt Nam in its language, one of the cradles of the human being, is a strip of land in 3200 km long having views on the Pacific Ocean. 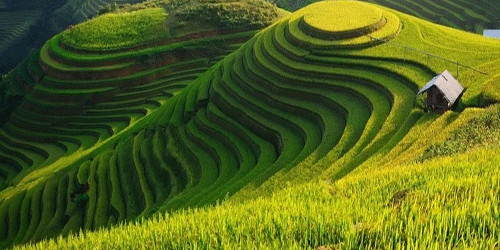 Possessing a flourishing civilization since the formation of the first State 4000 years old, through many centuries, Vietnam has his extraordinarily eventful history. The very rich country in natural resources and spectacular landscapes will satisfy the most difficult travelers. North mountain: The high mountain in the north: covered by forests, rice fields in terraces…which is the location of the coexistence of ethnic groups with different cultures from each other. 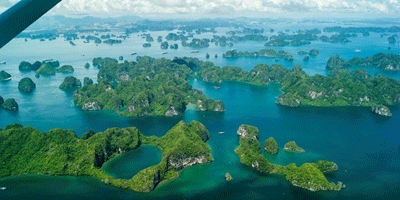 The Red River Delta in the north: Its sites: Hanoi Capital and Halong Bay classified as Heritage of Humanity by Unesco, Halong Bay on Land… become essential for everybody. The north mountain: The luxuriant nature, rice fields in terraces…is the cohabitation of 53 ethnics groups having different cultures. It is a great moment to contact with authentic local life. Travelers want to get away from the coast, the highlands with its ethnic minorities, waterfalls, an elephant ride, the forest…are warmly waiting for you. The Mekong Delta in south: With green immense rice field scattered of conical hats, the islands in the middle of mysterious Mekong River, floating markets...will surprise souls having a sense of discovery. After the trip by plunging into its culture, history, meetings, sharing…the islands like Phu quoc, Con dao...in the Pacific Ocean become havens for relaxation. Known also by successive wars, Vietnam now living in peace with its hospitable people, spectacular scenery, deep culture, and cuisine of extraordinary variation…merits one trip at least in life. 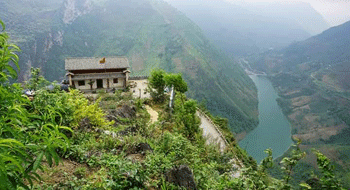 Please contact: info@guideduvietnam.com. Our voluntary staff of Guide du Vietnam, a tour operator managed by local guides, will respond to you in 24 hours to have more free information in detail while preparation of your travel in Vietnam.